Every once and while you just need to treat yourself to something so comforting and so decadent that you feel as though you just won the food lottery. My family absolutely couldn’t get over how delicious this was! 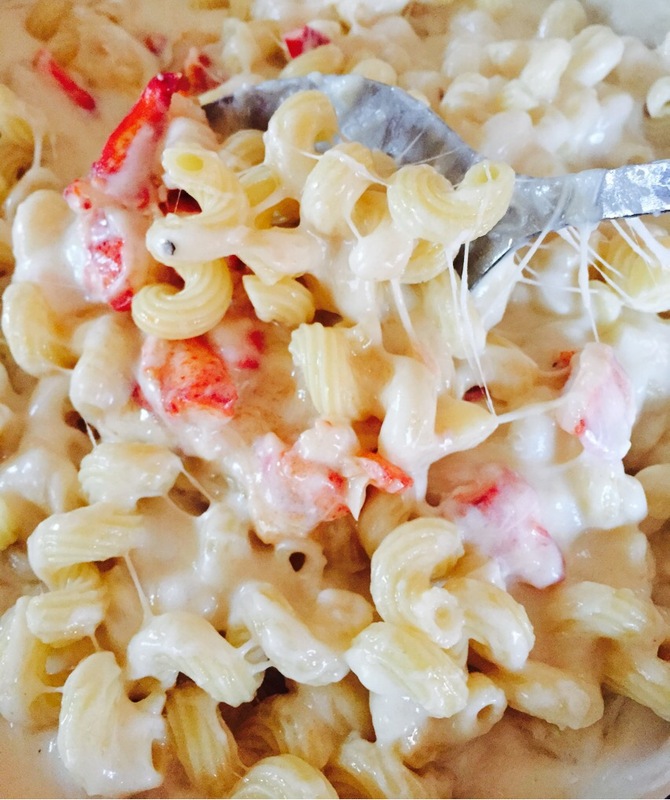 It is a bit time consuming only because my recipe calls for 5 different cheeses… That’s right, 5 cheese lobster mac and cheese! 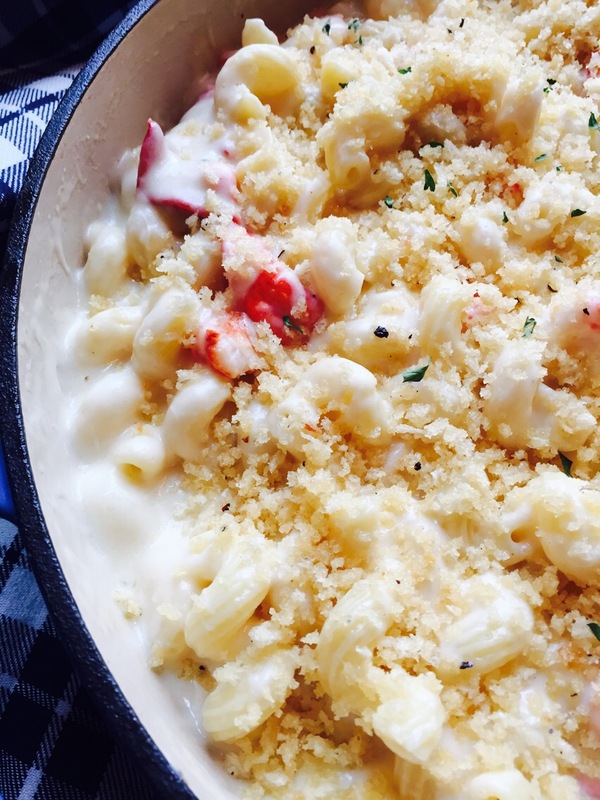 It’s so rich and creamy and soooooo worth the effort! The best part– this is a one pot dish!!! Well, two, but I consider boiling store bought pasta to be a freebie! It might not be our typical meal here on the homestead but it’s nice to spoil yourself every so often with a dinner like this one! Bring a stock pot of salted water to a rolling boil. 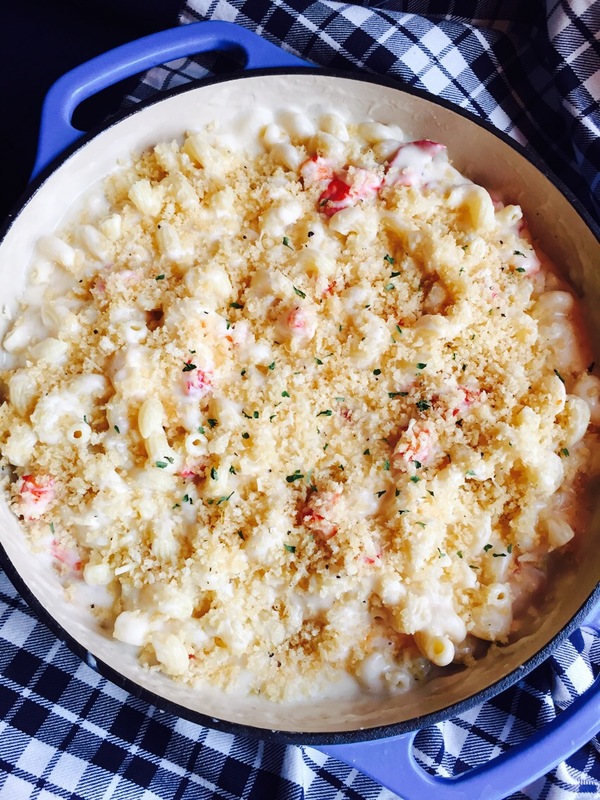 Work to grate your cheeses, mince the garlic and chop the lobster meat. 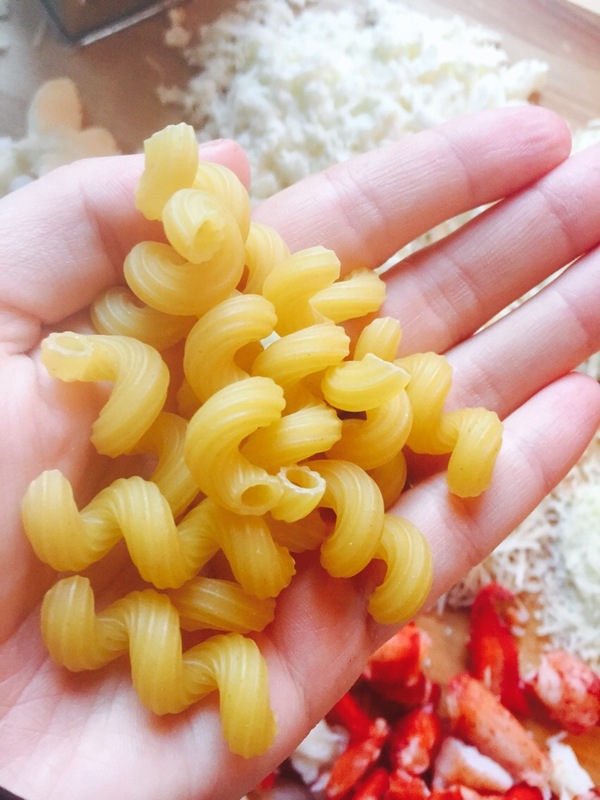 Add your cavatappi pasta to the boiling water and cook according to the package directions. Drain when cooked to your liking and set aside. 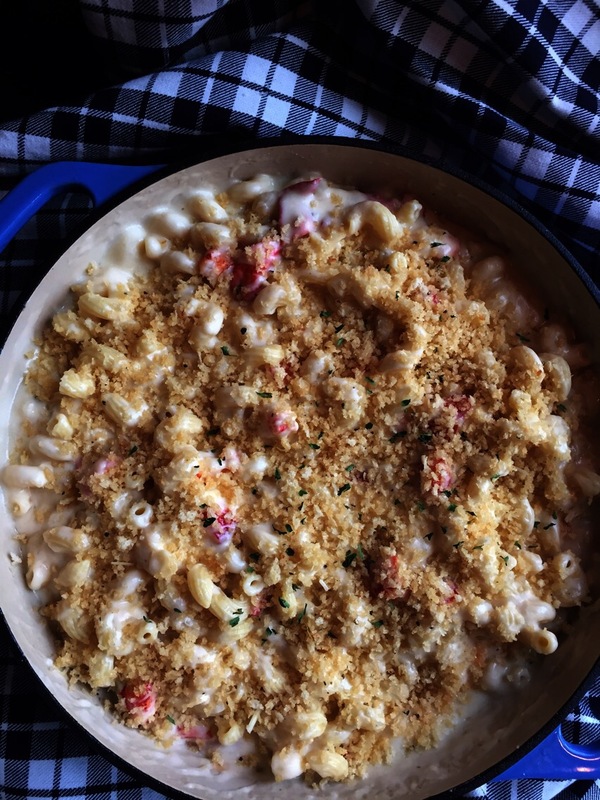 In a separate heavy bottom, 3 quart Dutch oven… I like to use my enameled cast iron. (Just choose a dish that can go from stove top to oven.) Melt three tbsp of butter over medium heat. Add in your cooked lobster meat and garlic. Season with a pinch of salt and pepper and cook for 1-2 minutes. 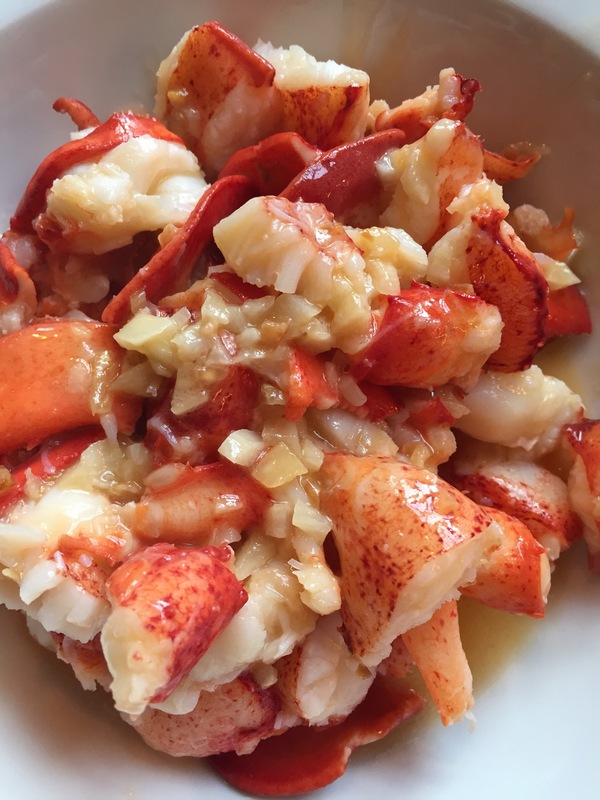 Then remove the lobster and garlic from the pan and set aside. 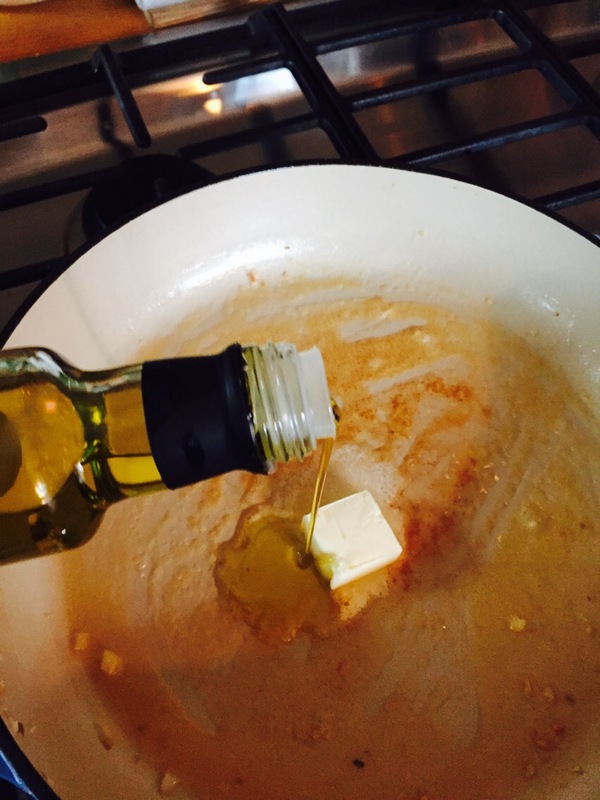 In the same dish, melt 2 more tbsp of butter. Add in your truffle oil and give it a quick toss. 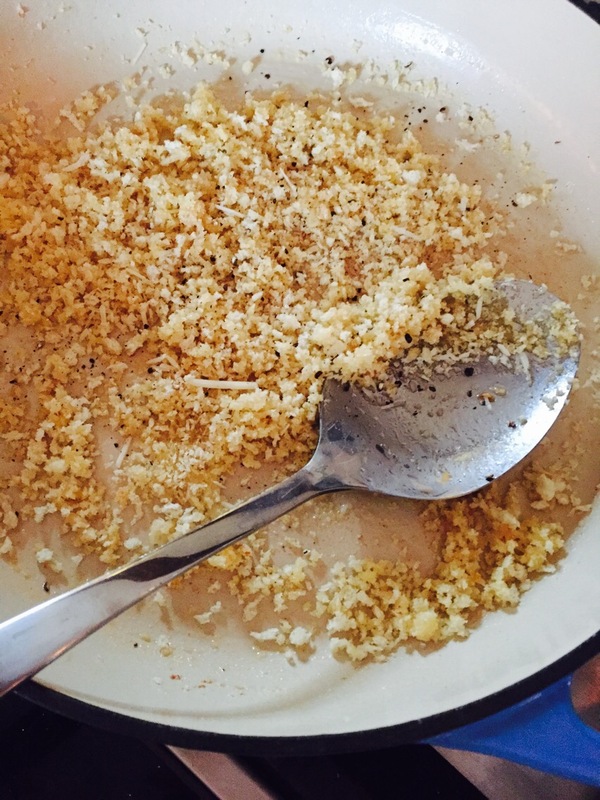 Add your breadcrumbs and toss to coat before scrapping them up and setting aside. Next, add 4 more tbsp of butter. Melt completely and whisk in your flour. Whisk continually for a minute or two until the flour is cooked and a thick paste forms. 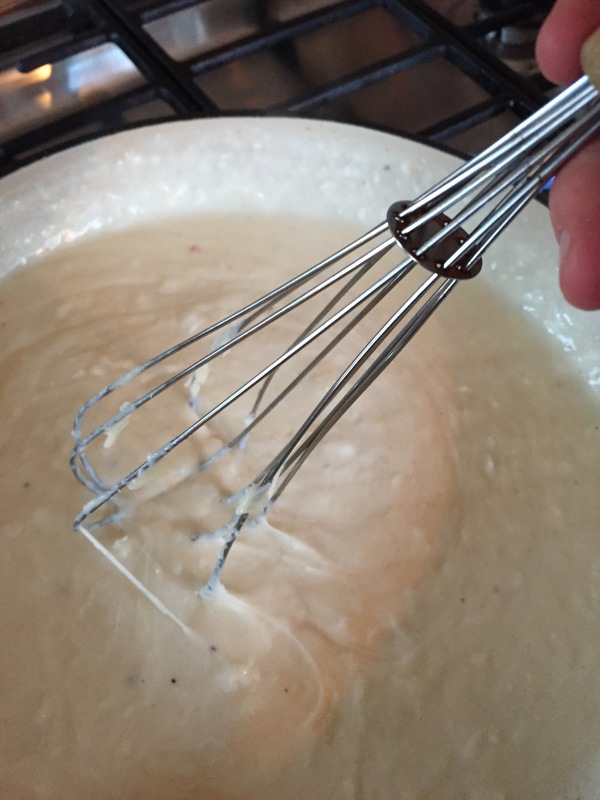 Add your milk, one cup at a time, and continue to whisk to make a bechamel sauce. Add salt, pepper and nutmeg to flavor the sauce. Once the sauce thickens, it’s time to add your cheeses! The sauce will be oooeey, gooey and amazing! Top with an even layer of your truffle oil bread topping and voila!! Cover, and keep warm in a 200 degree oven until ready to serve or, serve immediately.